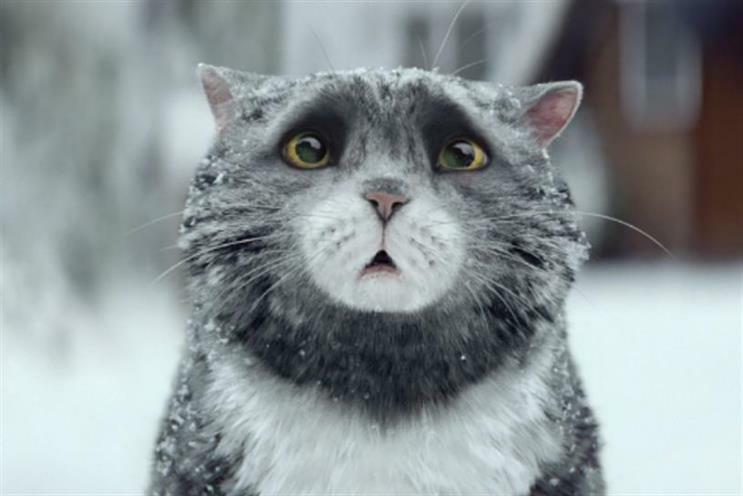 Sainsbury's festive video telling the story of Mog at Christmas has been the most shared ad this week. Judith Kerr, the renowned author, penned the story of Mog almost ruining Christmas day for the Thomas family. At the end the neighbours come together to make the day special. The ad has been shared 458,118 times this week. A young girl notices a lonely old man on the moon and sets out to let him know that someone on earth is thinking about him by sending him a gift. The ad has been shared 306,446 times in the last seven days. The Muppets star in the ad promoting the new giant crumpets from the brand. Kermit the Frog bursts into John Warburton’s office to pitch the idea, and then the ad shows the cast of the Muppets breaking out in song. The ad has been shared 60,851 times. Another instalment showing a group of old men competing in a game of basketball and playing very well. At the end they are revealed as top players in disguise. The ad has been shared 56,067 times. The ad promotes Istanbul and has been shared 39,137 times. 6. Red Bull "Kaleidoscope: see things differently"
Kriss Kyle, the BMX rider, performs a number of moves in an ever changing environment. The film has been shared 26,375 times this week. The supermarket focuses on its Christmas food offer explaining that it makes some of the food in store. The ad has been shared 20,408 times this week. The ad encourages people to support veterans. It has been shared 17,606 times this week. This film also commemorates Veteran’s Day in the US. It has been shared 13,460 times this week. Six photographers are invited to shoot a man. They are each told a different story about who he is and they come up with a variety of portrait shots. Canon looked to explain that a photograph is shaped more by the person behind the camera than by what's in front of it. The ad has been shared 12,422 times this week.